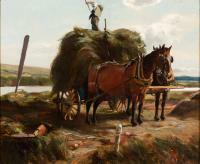 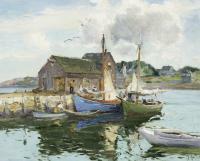 Alten visits Old Lyme, Connecticut in 1911 and paints several autumn scenes, which he eventually exhibits at the Lyme Art Association. 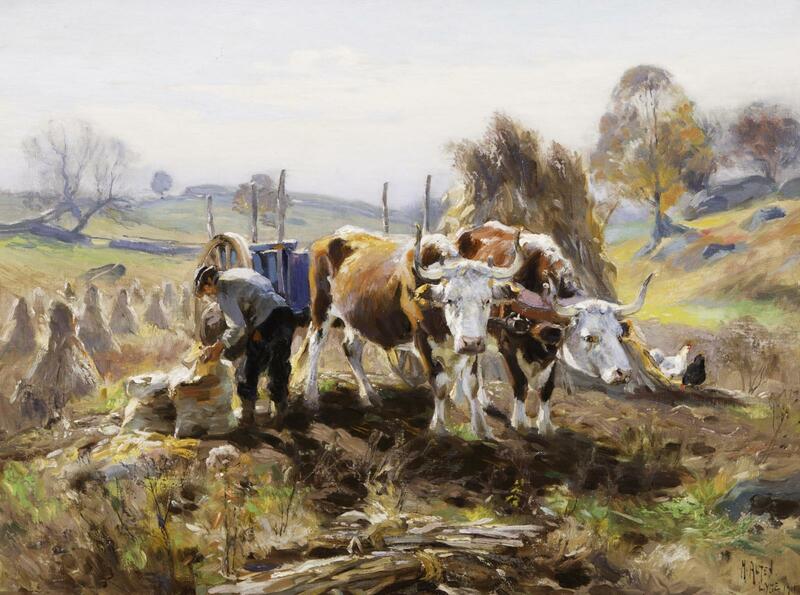 While there, he resides in the barn-studio of Will Howe Foote (1874-1965), a Grand Rapids native and early member of the Old Lyme artist colony. 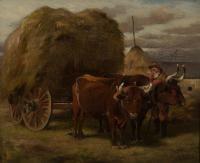 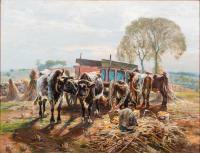 Farmer with two oxen is putting something in a bag on the ground.